Having a garden is either a liability or an opportunity. If you love gardening, then you would relate to the desire of getting it refreshed with new plants, new landscapes and new colors in flowers from time to time. Do you wish you could give a whole new look to your garden, but do not have the time? 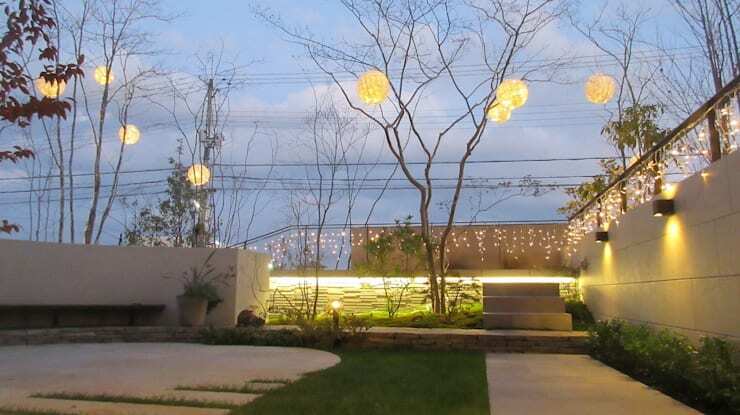 In this ideabook, we present some ideas that will give your garden a fresh new look, without taking much of your time. The great advantage of these ideas is the possibility of getting them complete in just one day, with a few hours of work, the vegetation will grow at its own pace though. If you want to make some changes in the garden that do not rob you too much time and do not involve huge expenses or the help of a professional, then these projects are for you. You can hang small potted plants, from a frame along the garden wall. The plants can be similar or different depending on the look you want to create, whether you like foliage or colorful flowers. you can also choose to plant seasonal plants, that come cheap and have a changed look for your garden with every changing season. 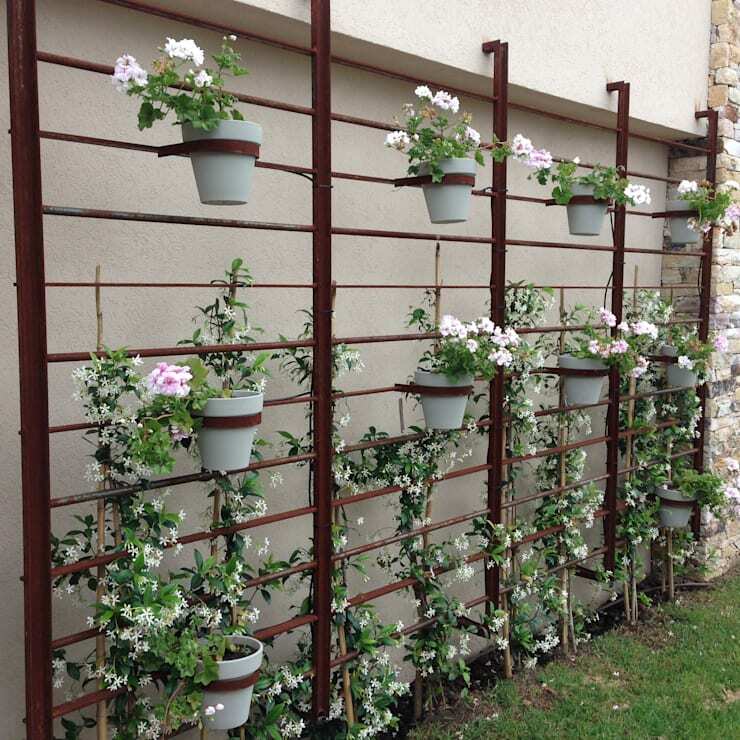 This structure for a vertical garden is easy to do, and will not take much of your time. Need ideas to grow a vertical garden? Here are 37 great ideas to have a vertical garden in your home. 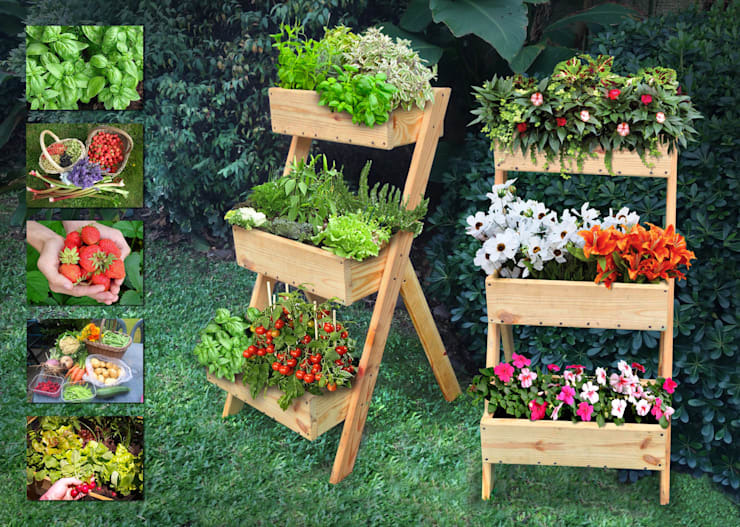 In the Garden World, they sell these beautiful vertical gardens that will gladly brighten any corner of the garden. These containers can be used to plant aromatic herbs, fresh fruits or vegetables and flowers. 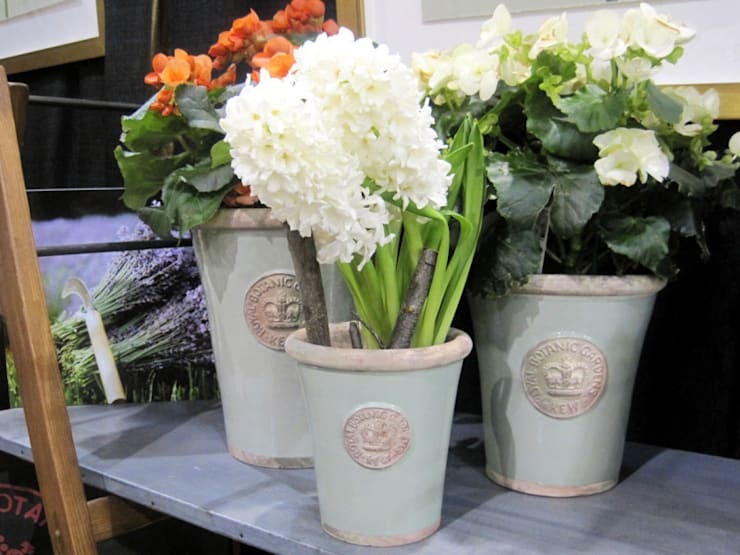 They are portable, so you could also shift them into the home for a few days (as they will need sunlight after all) for a bright natural decor. One must always have a cozy sitting area in the garden, to have a calming and relaxing cup of coffee once a day. 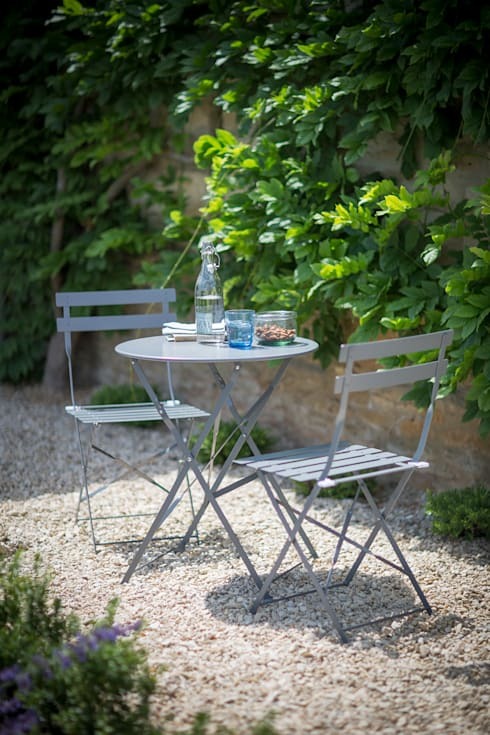 If you do not have such space, do not wait long to buy a beautiful looking, lightweight folding garden set and enjoy the beauty of nature in your garden while enjoying a quiet breakfast on a Sunday morning. Though not the cheaper option, but ceramic vases look way better than plastic containers. So if you wish to give your garden a sophisticated and more elegant appearance, replace the plastic containers with colored ceramic pots. You could have all the pots in same color to maintain symmetry, or you could also have them in multiple colors to add bright and colorful touch to your garden. See 5 ways for a perfectly planted container garden. 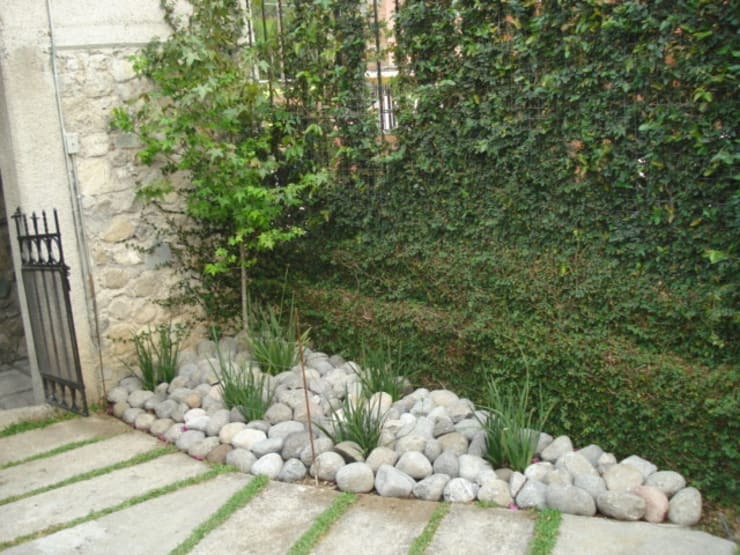 Making gravel path in your garden is an easy and low cost way to add a lot of charm and grace to a garden. A path opens many other decorative options as well. You could lay some big stones along the way to make it look more decorated and beautiful. You could landscape the surrounding greens with rocks and decorative artifacts. 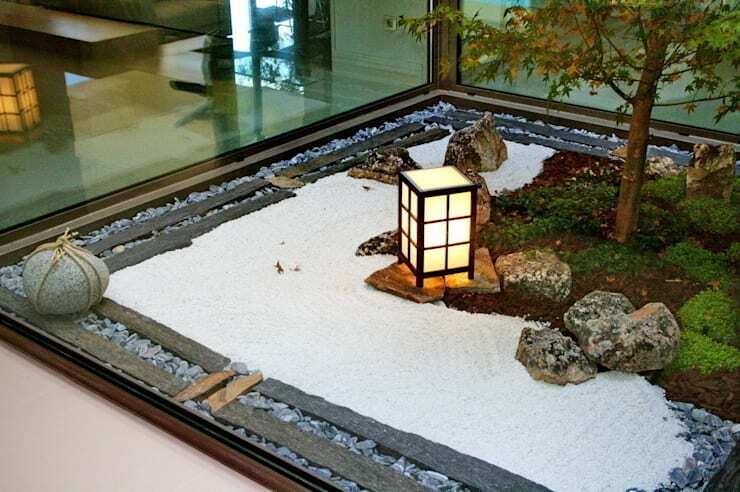 You could place lights along the path to make the garden look beautiful even in the night, when the colors are not visible. 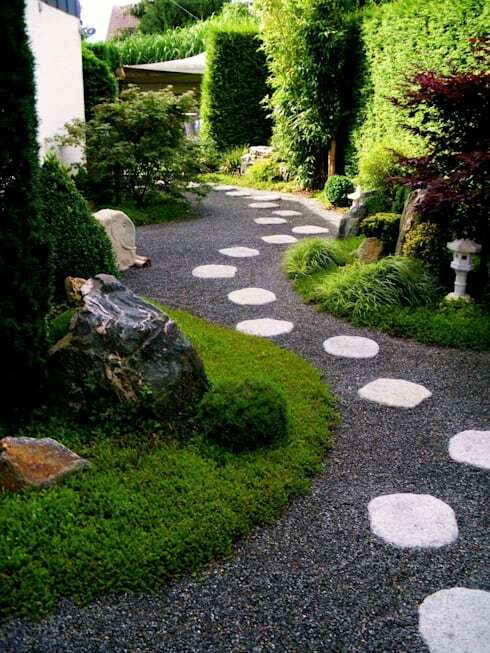 Here are some more charming garden paths on a budget. The stones decorate beautifully and require no maintenance. They are a sustainable, low cost option to ornament the garden. Distribute them strategically along the edge of the lawn, decorate them on the top of containers where plants are potted. You could even fill a pot with some stones and keep a decorative artifact on top to add a spiritual feel to your garden. Here are 25 amazing ideas to decorate your small garden. When you want to do small changes, do think of hanging some colorful floating containers. These floating pot holders are great for giving a touch of color to the exterior walls of the house, and will make your green garden look colorful and bright. 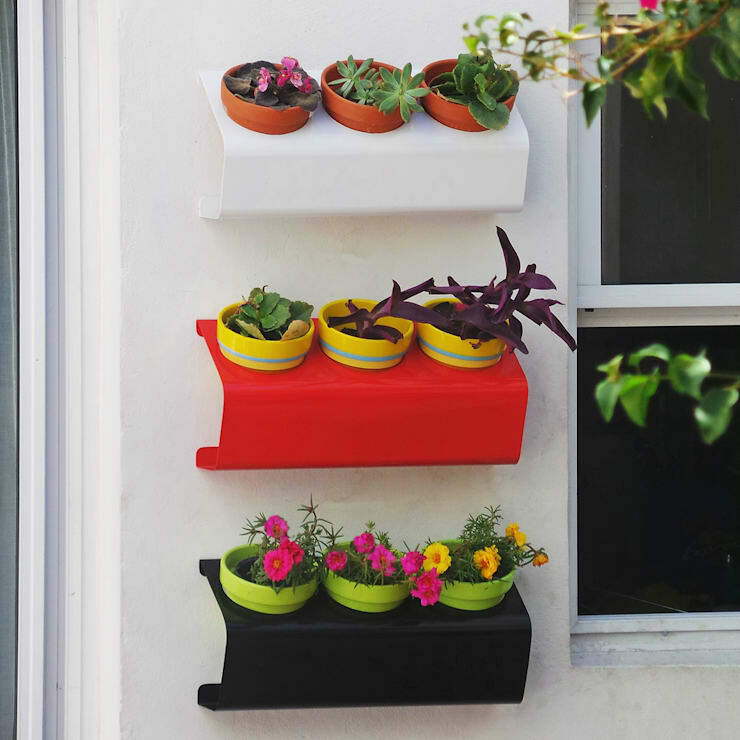 This is fun and easy way of having a small vertical garden on any exterior wall of the house. Here are 9 tiny garden updates for tiny budget. LED wreaths and paper lamps are a delightful way to light the garden, giving it a festive and very cheerful touch. You could have the lights off when you desire, and create a party atmosphere by just the push of a button in your own garden. All these ideas are cost effective and time saving. Hope they help you get the much needed change in your garden. So garden lovers what do you plan to do this afternoon?